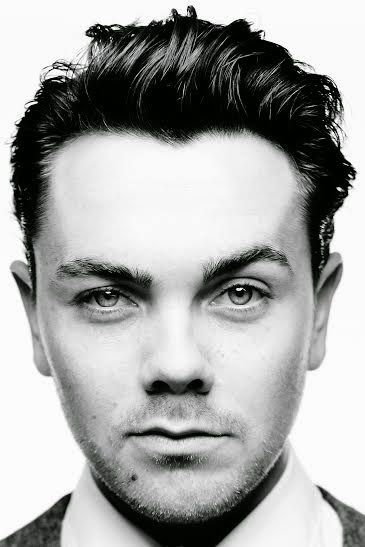 Singer-songwriter, actor and winner of hit TV shows Dancing On Ice , Dancing on Ice - All Stars, Ray Quinn, will be joining the UK Tour of JUDY - THE SONGBOOK OF JUDY GARLAND. Ray was runner up in The X- Factor in 2006, with his debut album going straight to number one in the UK charts and has starred in many West End musicals including Legally Blonde and Dirty Dancing. JUDY - THE SONGBOOK OF JUDY GARLAND will tour some of the UK’s finest theatres, with the UK premiere of this new musical show at the Edinburgh Playhouse on 8 May 2015. Highly-acclaimed choreographer and theatre director, Arlene Phillips, will be the Creative Director on the production. This will be the only Judy Garland Show in the world authorised by the Judy Garland Estate. The show also stars Lorna Luft, Judy Garland’s daughter, together with leading West End musical theatre stars, including Louise Dearman, Rachel Stanley, Darren Bennett and more. Also appearing are Judy’s dancers - The Boyfriends, named after Judy’s original dancers of the same name. The show will include never seen before film clips and interviews together with irresistible classic hit songs from some of Judy’s hugely popular films such as A Star is Born, Meet Me in St. Louis, Easter Parade and The Wizard of Oz. The set of songs will include I Got Rhythm, The Trolley Song, The Man That Got Away, Get Happy, Zing! Went the strings of my Heart, and the song that is synonymous with Judy Garland, Over the Rainbow.